added: advanced automatic suggestions removal. added: if solving/validating the puzzle takes more than 2 seconds, the puzzleis considered too complex and the algorithm stops. fixed: solving algorithm improved – it now undoes its changes rather than making a grid’s copy before each change. It works about twice as fast as the previous algorithm, and moreover do not use that much memory. fixed: sudoku is now in a scroll pane – it is possible to play 16×16 Sudoku in low screen resolution. changed: filling a cell clears all suggestions in this cell if auto suggestions remove is on – it can be undone. This is the puzzle my algorithm was unable to solve in over 30 minutes. Show that you are better! The grid consists of N*N x N*N cells (e.g. 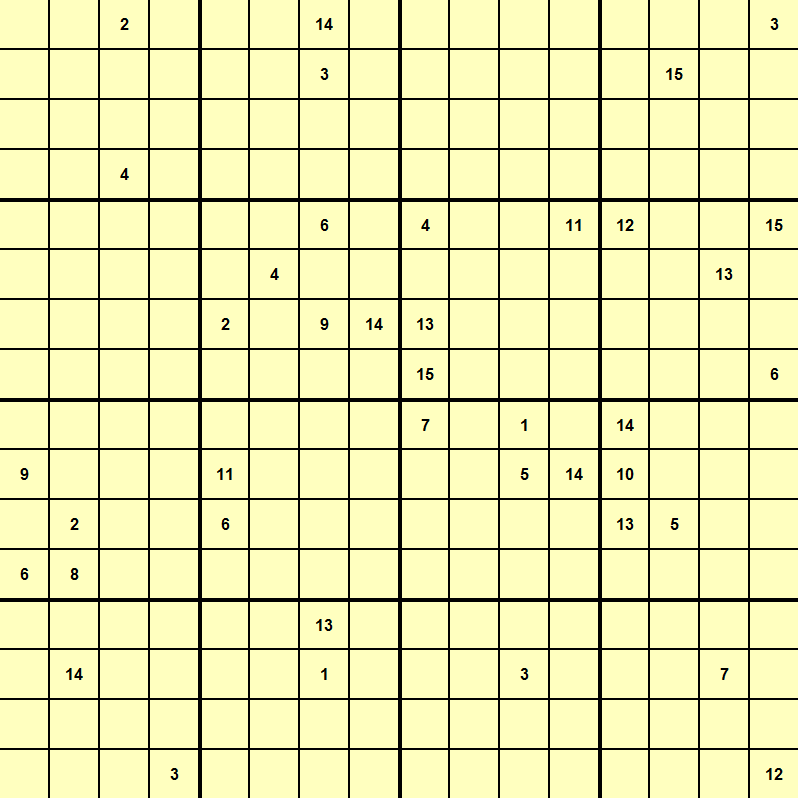 in Sudoku 9×9 N = 3 and there are 81 cells). The zone is a row, a column or a square, it contains N*N cells. The square is a NxN large part of the grid (in 9×9 there are 9 squares of size 3×3). The neighbours are all those cells that share the zone with the cell. Also each cell contains a filled number and the set of possibilities (candidates). Posted on March 16, 2012, in My Projects and tagged gaming, Sudoku. Bookmark the permalink. Leave a comment.